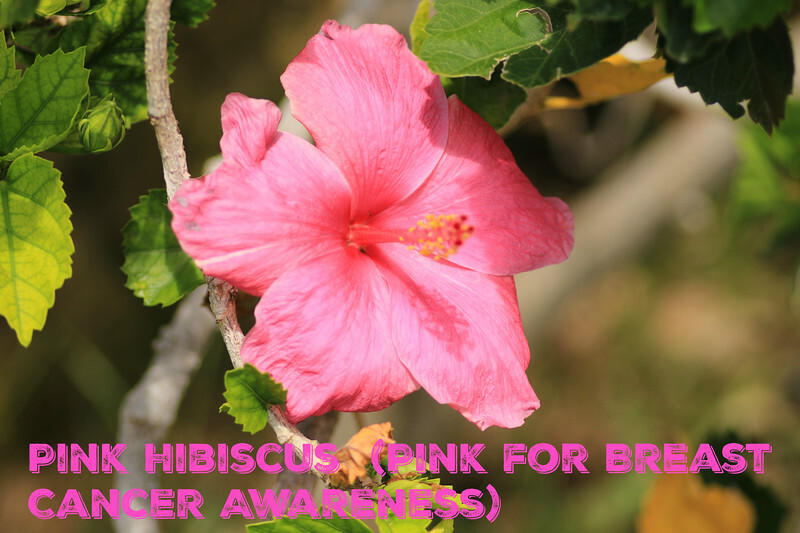 Lovely pink hibiscus for "awareness". Wonderful pink hibiscus for Breast Cancer Awareness! Outstanding shot.I need to post one also. Pretty in Pink! Is this for Tina Gardner's (Sisterhoodofthetravelingbras) "Post Pink" photo today? She indicated that since so many of us are participating in Judy's "Alphabet Challenge," that we could post pink either today or tomorrow. I'll oblige ad post my pink pic tomorrow!